Pacific Food Importers has been distributing Mediterranean and other food service products in the greater Seattle area since 1971. 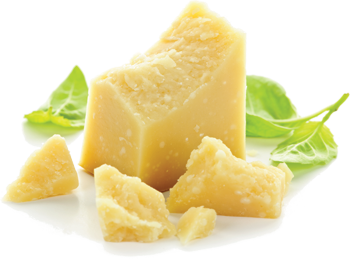 Beginning as a cheese and olive import company, PFI has evolved into a well-known wholesale food distributor in the Pacific Northwest. Today, we proudly serve pizzerias, bakeries, restaurants, delis, groceries, and manufacturers, as well as operate our own retail outlet in Seattle, Big John's PFI. Our service area includes the greater Puget Sound region and Portland, Oregon. Situated in north Kent, PFI has a 26,000 sq/ft, organically certified warehouse with a central location allowing for efficient service and delivery, as well as convenient will-call pick ups for established customers in Seattle. Pacific Food Importers, Inc. was founded in Seattle in 1971. Our founder, John "Big John" Croce, was the son of Italian immigrants from Le Marche, Italy. Growing up in Seattle's "Garlic Gulch" he was constantly surrounded by food and community. After spending years managing and operating grocery stores, John began to sell imported Greek items out of the back of his car. Before long, he had enough demand for his goods to create Pacific Food Importers, with the aim of providing food businesses with the ingredients they need to thrive. Today, Pacific Food Importers is run by Big John's children, Holly, Cathy, and Mike, who share his passion for serving the food community of the Pacific Northwest. PFI strives to bring you quality products, competitive prices, and friendly service, and, as Big John used to like to say, "We are always looking for new business!"